> Remind us, did Austin finally admit they didn't invent the breakfast taco or was their forfeit at the Breakfast Taco throw-down at SXSW Interactive in March their way of waving the white napkin? 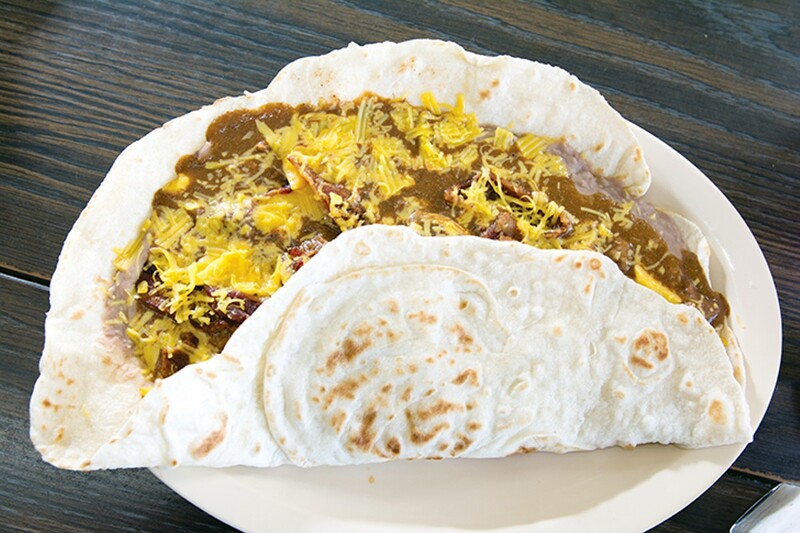 Either way, if they're still being pinche about it, all San Antonio has to do is send Rolando and his Super Tacos up I-35 to flex their tortilla muscles. They're that intimidating! If you've never been to Rolando's (919 W. Hildebrand Ave. or 93 Shasta Ave. near SW Military), make sure you fast for a couple of days before heading there for breakfast one morning. OK, maybe not a couple of days, but don't try to be all badass and order five papa and huevo tacos for yourself just because you can eat five papa and huevo tacos from any other taqueria. They're called Super Tacos for a reason, the main being that they're as big as a newborn. Nom, nom.